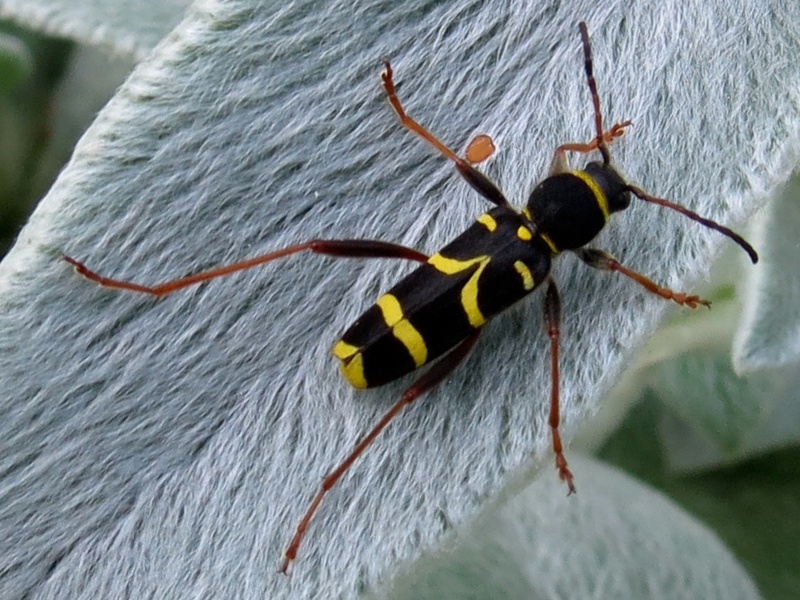 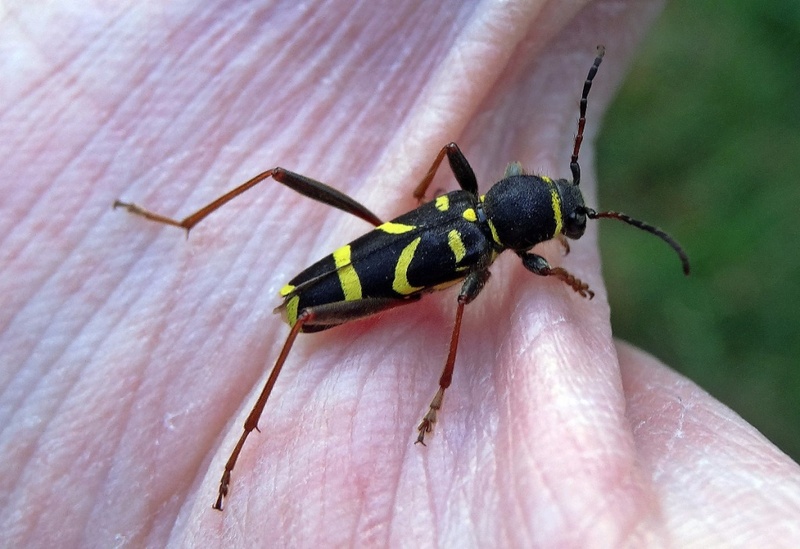 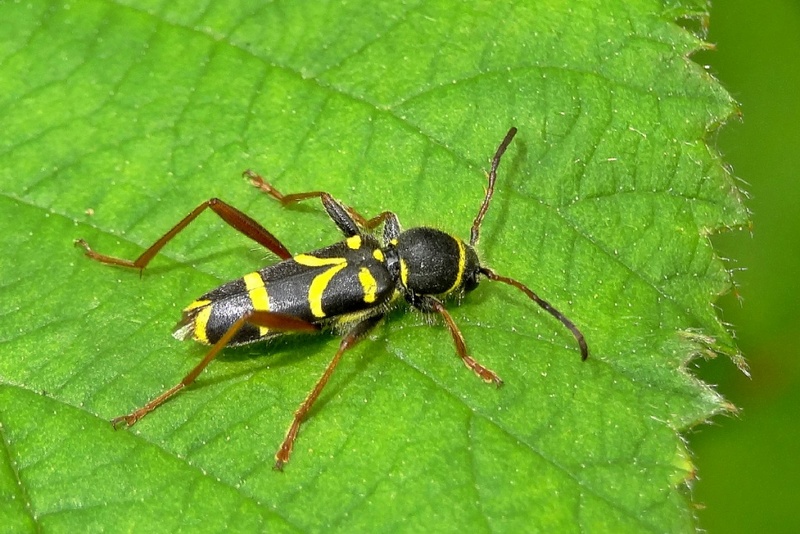 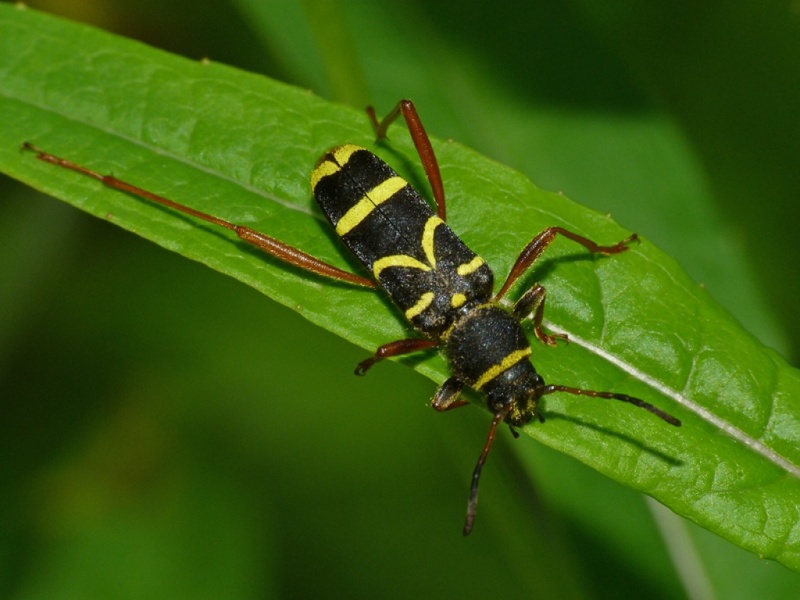 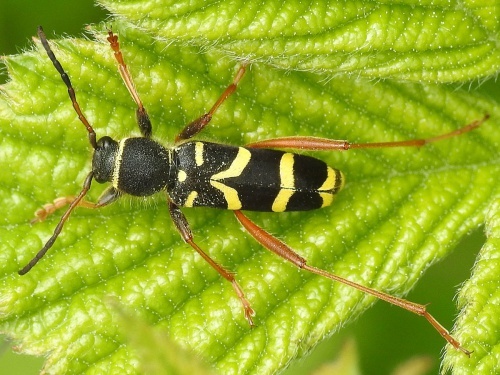 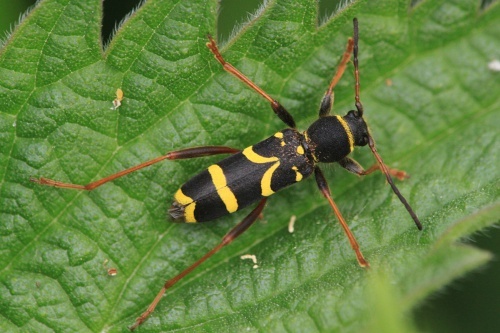 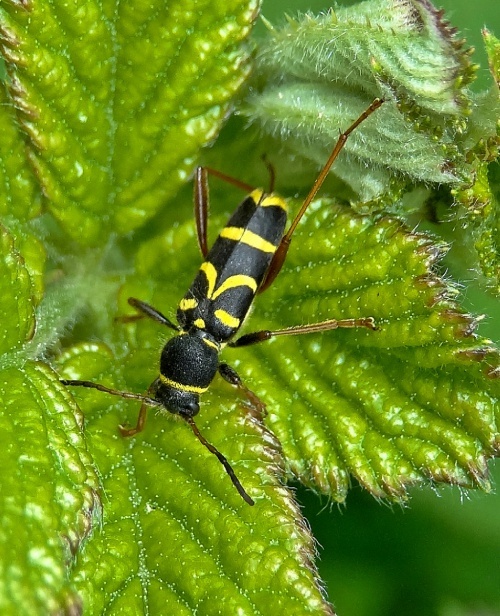 Though this beetle mimics a wasp, in both colouration and movement, this black and yellow beetle is totally harmless. 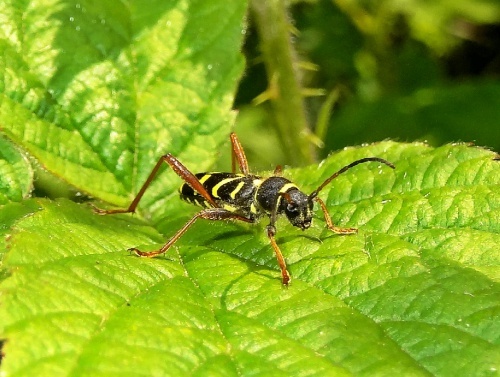 On hedgerow vegetation and in well wooded areas. 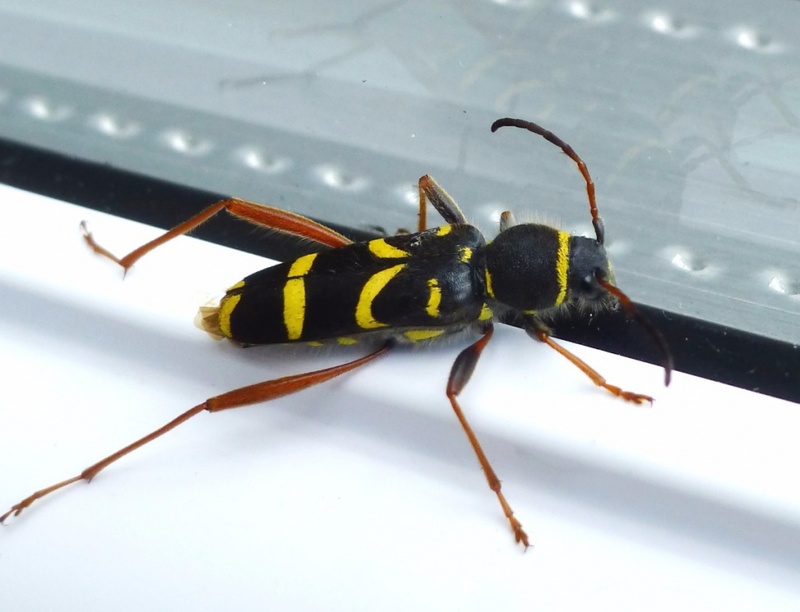 It can be found from May until August. 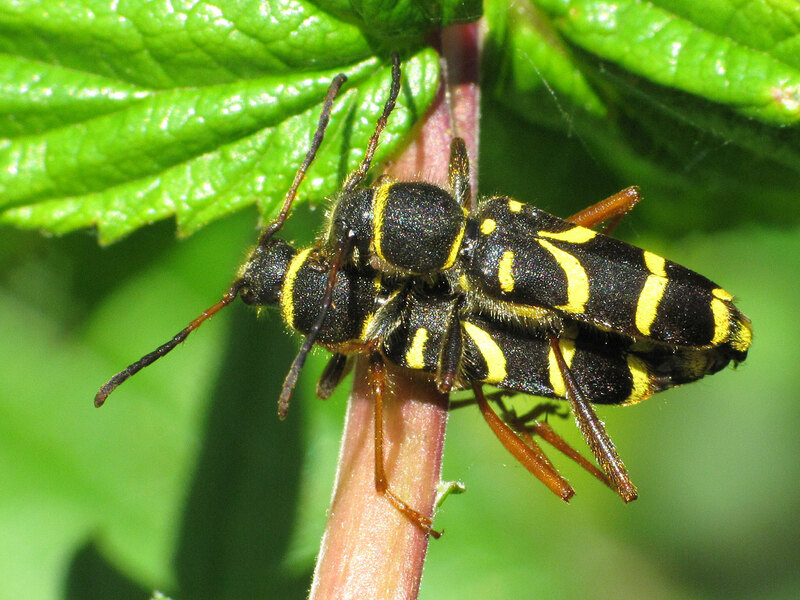 It breeds in the decaying wood of deciduous trees. It can often be found in clear view, resting on leaves in low vegetation. 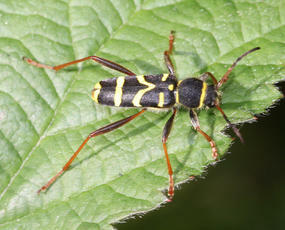 Presumably its yellow and black colours warn off any predatory birds! Common and widespread in England and Wales, scarcer in Scotland.